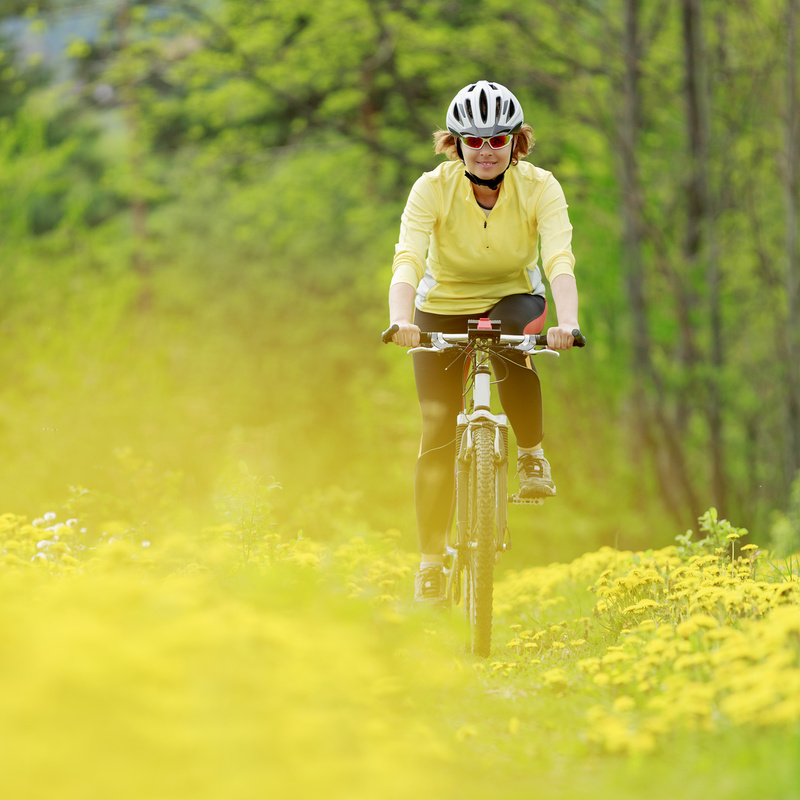 May is National Bike Month, which is the perfect time to swap out your car for your two-wheeled transportation method. Not only is biking around great exercise, but it also helps you be a little bit more environmentally friendly in your daily life. To help you enjoy bike month a little more, keep these bike month facts in mind to impress your friends. Karl von Drais, a German baron invented a horseless carriage in 1817 to help him get around faster. The two-wheeled, pedal-less device was propelled by the rider by pushing their feet against the ground. It later became known as the “draisine” and led to the creation of the modern day bicycle. It was not until the 1860s that the term “bicycle” began being used. It was coined in France to describe a new type of two-wheeler with a mechanical device. Wilbur and Orville Wright, who built the first flying airplane, operated a small bike repair shop in Dayton, Ohio. They used the same workshop to build the 1903 Wright Flyer. Fred A. Birchmore rode around the world on his bicycle in 1935. The trip took him through Europe, Asia, and the United States. He pedaled about 25,000 miles, while the rest of the trip was taken by boat. There are more than half a billion bicycles in China. Bikes were first introduced to China in the late 1800s. Americans use their bikes for less than one percent of all urban trips. Europeans use bikes in cities much more often. In Italy, almost 5 percent of all trips are taken on a bike. Seven out of eight Dutch people who are over the age of 15 own a bike. There are around 100 million bicycles produced worldwide each year. All of us at Gee Schussler Insurance Agency in Orland Park, Illinois would like to encourage you to use your bike more this month.